This 1- hour class will introduce kids ages 7-13 to fitness in a unique new way! Each hammock will be adjusted for the correct height of the child to ensure safety and proper technique. In the closely-monitored, safe and encouraging environment the children will learn how to do flips, forward and backward inversions, and other aerial acrobatics. The class will help children develop core, upper body strength, flexibility and balance. Students will begin learning tumbling skills and work towards being able to do forward & back rolls, handstand kicks, handstand roll downs, back extensions, cartwheels, round offs, back handspring, front & back walk overs. Class meets once a week for 1 hour. (tuition based price). This class is for ages 6-13. This is a great class for home-schooling families to add physical education to their academic curriculum. In this 1 hour, twice a week class, students will improve their physical endurance, coordination, balance and flexibility. Relays, active team games, and sportsmanship, will be part of this curriculum. This is a great class for students ages 8-13, wishing to try out for their school’s cheer team! Come and learn how to perfect tumbling, cheer motions, dance, jumps, and voice projection! We will also be holding ‘mock’ tryouts so that students can receive feedback, and tips to boost their confidence! Class cost $60.00 a month. This is a beginner level class for ages 8-13. The class meets once a week. The syllabus will explore different styles of Jazz, including contemporary, classical, lyrical, Broadway, character and modern. The instructor will lead the class through a series of dance warm-ups, exercise and conditioning routines, dance combinations and choreography. This class will focus on developing flexibility, balance, rhythm, and musicality. Dress code: tan jazz shoes, black jazz pants or yoga leggings, black fitted shirt or leotard. Students must wear hair up and have a neat appearance. Shorts are NOT permitted. Class cost $55.00 a month. This class is for ages 4-7 and meets once a week. The syllabus introduces children to music and movement through a structured progression that stresses creativity and group interaction. The curriculum will focus on helping students develop flexibility, balance and coordination. The instructor will lead the class through a series of dance warm-ups, exercise routines, simple dance combinations and choreography, as well as beginner level tap steps. The cost is $55.00 a month. Tiny Tutus is for ages 2-4 and open to children who have turned 2 by September 1 of the current year. This is a parent and child class. Class meets one time per week for 30 minutes. Students are led through a series of movement stories and ballet-based activities that appeal to both girls and boys alike. The class includes 20 minutes of instructor-led class, and 10 minutes of open gym playtime. Tumbling Tots is a Parent & Child class for children ages 2 – 5 years old. This class will give parents an opportunity to enjoy their special bond with their little ones. Our 30-minute program will offer developmental milestone building skills through fun physical movement with focus on coordination, balance, agility, introduction to tumbling, and social skills. The class includes 25 minutes of instructor-led class time, and 5 minutes of open gym playtime. 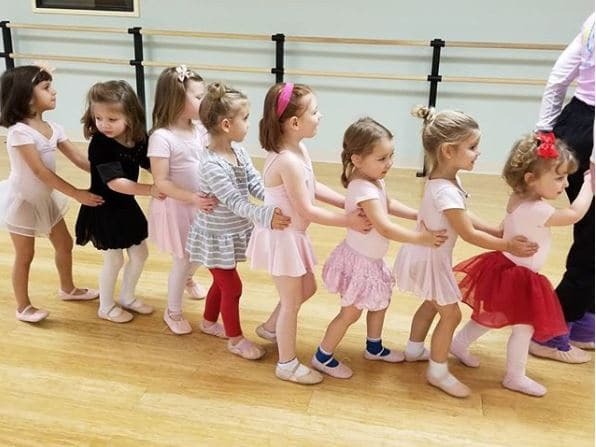 This program is a prelude to formal ballet instruction and introduces children to music and movement through a structured progression that stresses creativity and group interaction. 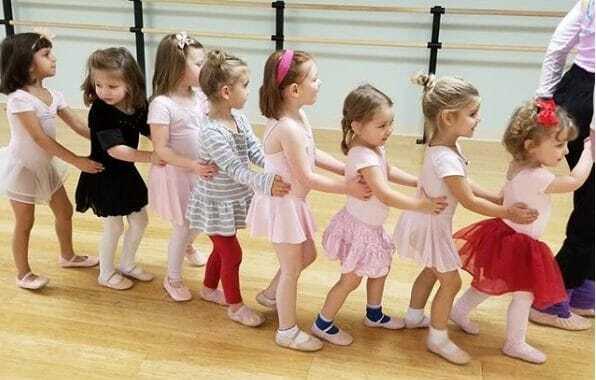 An excellent and fun introduction to classical ballet and fine arts, the Pre-Ballet syllabus is introduced at a time when fine and gross motor skills are becoming more refined. 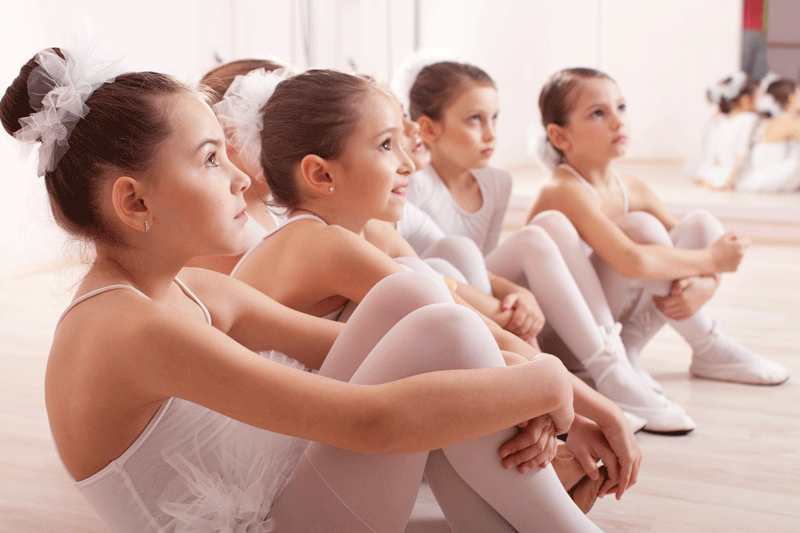 By introducing students to the basic shapes, positions, postures and traditions of classical ballet, the Pre-Ballet curriculum enhances both cognitive and physical development at this important time. Pre-Ballet meets one time per week for 45 minutes. At the end of the year, students participate in In-studio Spring Presentations during regular class time as well as other venues throughout the year. Parents will receive a syllabus outlining the details of the program. Girls: Pink short sleeve leotard, short white socks, canvas or leather single sole ballet shoes. Pink chiffon wrap skirt is optional. Hair must be up or pulled back neatly away from the face. Boys: White, fitted T-shirt, short-sleeve, black tights with no socks or black shorts with white socks, black ballet shoes. For your convenience, all dance attire may be purchased through our store. We will guarantee the correct fit. 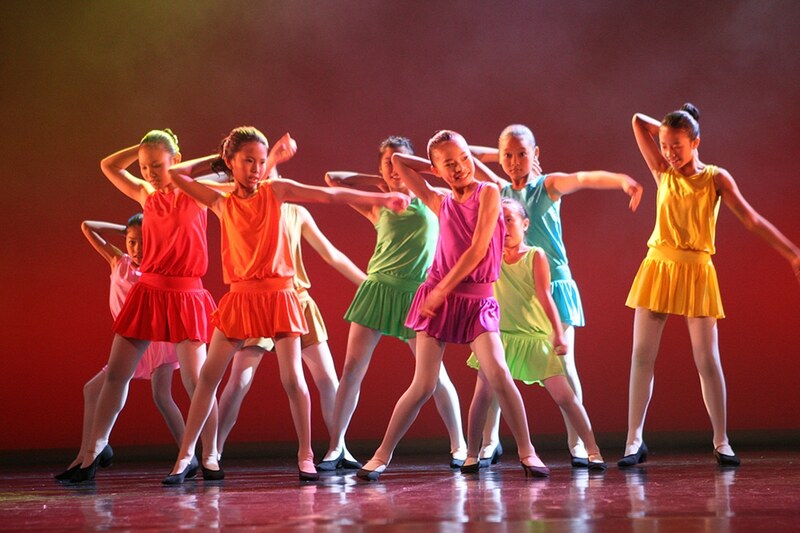 Ballet Level 1 (age 8-13) meets one time per week for 1 hour. Ballet Level 2 (age 10-13) meets twice a week for 1 hour. 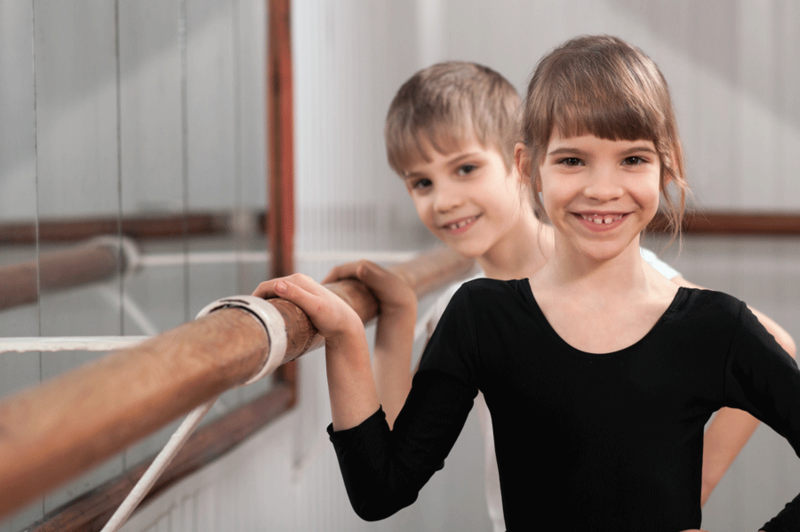 Children in this level begin more formal ballet technique with barre-work becoming part of their class syllabus. Starting in Level 1, students begin formal training in traditional classical ballet. The syllabus progresses at a rate that allows the student to learn the exercises correctly and with full physicality. Repetition and slow careful work is emphasized, with the students learning discipline and control of their bodies. Students progress to the next level when they have mastered the material and physical understanding of the syllabus in their current level. Students are required to attend all scheduled classes for their level. Students will be advised about their appropriate level for the fall. At the end of the year, students participate in the School’s Spring Presentation and other venues throughout the year. Parents will be advised well in advance of any venue or costume charges. Girls: Level I – Light purple leotard; Level II – Black leotard short sleeve style only. Clean white tights, canvas or leather pink single-sole ballet shoes. White or pink chiffon wrap skirt. Hair must be up or pulled back neatly away from the face.